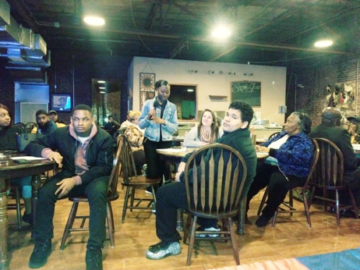 On March 1st The TN-NAACP College and Youth Division opened up for the 15th Annual Race Relation/Advocacy Summit in Jackson, TN by hosting a Youth & Community Town Hall meeting. 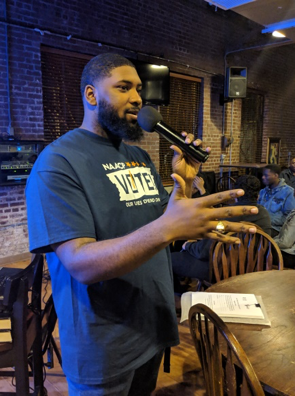 As the co-chair of the Environmental Climate and Justice (ECJ) committee for TN NAACP State Conference, I was honored to participate this year in the advocacy planning for the College and Youth’s Division’s Town Hall Meeting. Communities of color are often the hardest hit by climate change. What often comes to mind with the mention of climate change are melting ice caps and suffering polar bears. Historically, American society has failed to connect the dots around the direct environmental injustice impacts of climate change on own our lives, our families, and communities, all of whom depend on the physical environment and its bounty. The NAACP believes strongly that in order to address these inequities, future leaders must be developed today, and such development is ongoing in the Youth & College Division, created in 1936. The NAACP has one of the largest organized groups of young people of any secular organization in the country. The two-day Summit began on Friday evening with the Youth Town Hall Meeting at Lane College. The first activity was for the group as an ice breaker to bring people in contact with each other, to join arms, shoulder to shoulder, to pray, to signify unity, and to remind us that together, can we solve the problems of climate change and environmental justice. Chinelo Tyler, Just Student Energy Organizer for the Partnership for Southern Equity, who described his role in galvanizing young leaders to educate and engage low-income, communities of color about the sourcing and commodification of power generation in Georgia. Chandra Farley, Just Energy Director for the Partnership for Southern Equity, who develops local and regional strategies to advance energy equity through coalition building, leadership development and community engagement around the equity impacts of the sourcing and commodification of power generation in the American South. While unfamiliar to many residents, those policies significantly impact household income stability and impinge on the overall quality of air, water, and other natural resources that affect our health and well-being. 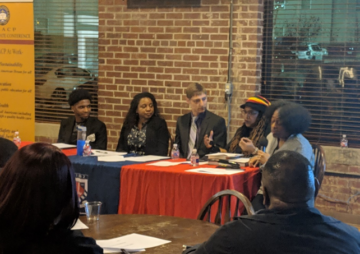 Ameera Graves, NAACP Youth & College Advisor, challenged the panelists who were also tasked with answering a list of questions regarding the NAACP’s Environmental and Climate Justice Program Goals. Placing a steadily rising fee on fossil fuels. Giving 100% of the fees minus administrative costs back to households each month. Using a border adjustment to stop business relocation. Workshop participants reported out on assigned key terms and listening intently to the video of Chandra Farley’ Testimony (starting at minute 25) before the House Committee on Natural Resources’ Subcommittee on Energy and Mineral Resources on February 12 about energy equity throughout the South. The Tennessee Conference of the National Association for the Advancement of Colored People, (TN-NAACP or Tennessee State Conference of NAACP, is the Nation’s Oldest and Largest Civil and Human Rights Organization. 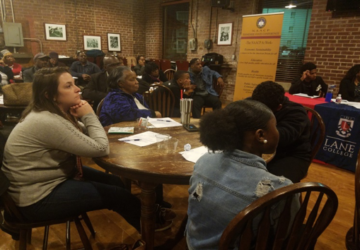 The TN NAACP Race Relations/Advocacy Summit was initiated to take a close look at the progress of race relations in every aspect of life across Tennessee. 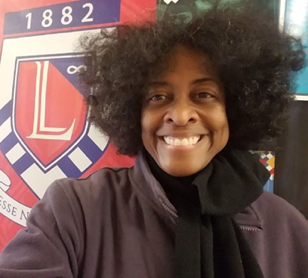 Prof. Graves concluded, “As the advisor of the Lane College chapter of the NAACP, I feel an unwavering responsibility to teach students the mission of the NAACP. Our mission implores us to advocate for equity, not only, in the criminal justice, education, and political systems of our country, but also in the environmental arena. Environmental and Climate Justice is actually one of the six primary areas of focus established as a part of our national NAACP platform. In part, this is because racism leads to the contamination of the water we drink, the air we breathe, the soil in which our food is grown, and the dumping of toxic waste in our neighborhoods. I concur with Professor Graves that we must fulfill our obligations to the NAACP’s mission and that we must lobby for more weatherization, renewable energy, green jobs, and voice our ECJ concerns at the local, state and national levels of government. If you are interested and want to make an impact check out the ECJ’s Youth and College Tool Kit.